Got in another Spell Cosmetics haul! This time I tried one of their new lipsticks along with new lipgloss shades. By far, my favorite of the Spell products is the lip gloss. Out of those, I am wild about 'Pamela'. It is the perfect shade for redheads. I tried a lipstick in 'Andora'. I had seen several other reviews say that these lipstick colors are more like lip stains, and I agree with that assessment. They work as a lip smoother or conditioner, but I can't recommend it for a lipstick, unless you really want a bare touch of color. The swatch for Andora below took three passes to get it dark enough to photograph. The lipstick cases are high quality and solid. I hate cheap, rattling lipstick cases. All Spell products are 25% off and shipped free for a year when your purchase their VIP Card ($12.00). Summer - $7.99: NEW! Paraben Free (Obvious) Lip Gloss by Spell. 13 Ml gloss tubes with wand. Summer: A warm, fiery copper-bronze! Pamela - $7.99: NEW! Paraben Free (Obvious) Lip Gloss by Spell. 13 Ml gloss tubes with wand. Pamela: An Auburn-Cinnamon, Creme Gloss! Holly - $7.99: NEW! 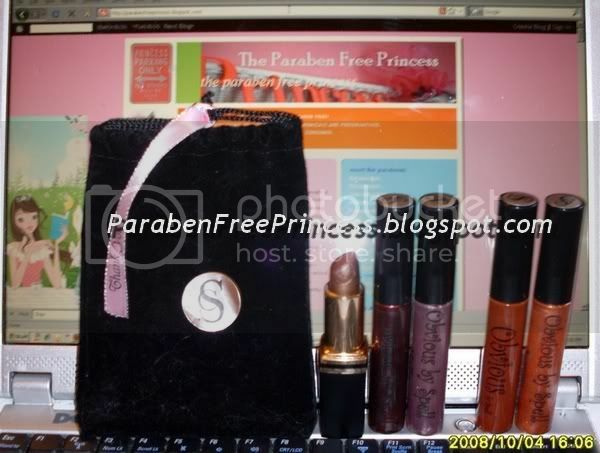 Paraben Free (Obvious) Lip Gloss by Spell. 13 Ml gloss tubes with wand. Holly: A mysterious, Plum-Gold Lustre! NikkiChik - $7.99: NEW! Paraben Free (Obvious) Lip Gloss by Spell. 13 Ml gloss tubes with wand. NikkiChik: A sultry, Bordeaux, molten glow!